Another 5 years of ConArtists WATFORD? ‘Alok Sharma, MP for Reading West, and Paul Uppal, MP for Wolverhampton South-West, to write a campaign guide on working with ethnic minority voters.’ As ConDems continue their assault on the indigenous population. Richard Harrington sings The Blues’. 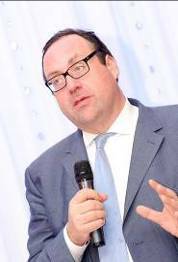 Remember that Richard Harrington promised a new Mosque to his future constituents and then renegged on the deal when in office. Further, Richard has been so busy writing the Election 2015 Action Plan that he is having trouble coping with constituent emails at the moment. There was Eric Pickles’ crass remark to an abuse victim and the enormous waste of Tax Payer money his party has been responsible for and., and, and …… Richard doesn’t seem to have any answers for all these woes. Then there was Richard’s YES vote on lobbing bombs on Syria. Fortunately, enough of his colleagues sensibly voted NO and it didn’t happen. Wonder where Rich stands on Fracking? Don’t bother GovWatch, he won’t answer. Bradbury Pound Richard? Erm … The Fiat Monetary System? What’s that? Did Lord Ashcroft bankroll you Richard? What about that proposed Rothschild Road Pricing Scheme Richard? Is that why the pot-holes are not being fixed? Why did your new Minister for the Disabled shut his Twitter Account Richard? All answers on a Post Card Richard please. Oh wait you voted for privatisation of Royal Mail didn’t you? Any movement on those hateful Zero Hours Contracts yet Richard? Of course not. Don’t be naive GovWatch. Well what is That Con ‘wish list’ in Marginals such as Watford? This entry was posted in Albans Activist, Anti Cuts Movement, Anti Globalist, Austerity Kills, Bedroom Tax, Berkhamstead Blogger, Bilderbergers, Bloggers Having Their Say, Bring Back the Bradbury, Bullingdon Bureaucrats, Butterflies Are Free or Are They?, Child Abuse, Cockroaches, Collective Action, ConDem Health and Social Welfare Bill 2012, Conservative Party, David Cameron, Death Dealers, Disability Action, DWP, Economy Train Wreck, Election 2015, Ethical Banking, ExpenseGate, FibDems, Fracking, Getting Away With Murder, Government Fraud, Housing Benefit and Bedroom Tax, How to Identify Tories, Ian Disorganised Duncan Smith, It's a Mystery, Justice4Jobseekers Facebook, Lightwork, Lobbysters, Lord Ashcroft's Money Maze, Men of Non-Business, Money Matters, NHA Party, NLAT, People's Assembly, Psychopaths, Rebellious Media, Rothschild Toll Roads, Spin Spin Spin, Tax Dodging, Telegraph, The 'Quisling Plan For Change', The Importance of Being Awkward - Tam Dalyell, Tory Party 2015 General Election Team, Truth Movement, Various Suspicious Operations, War Mongering, Watford Coalition of Resistance, Watford Green Party, Well Known Oafs, What's Happening in Herts, Zero Hour Contracts, Zionists and tagged All answers on a Post Card Richard please. Oh wait you voted for privatisation o9f royalo Mail didn't you?, Alok Sharma, Another 5 years of ConArtists WATFORD?, Any movement on those hateful Zero Hours Contracts yet Richard? Of course not. Don't be naive GovWatch., Bradbury Pound Richard?, Cleggosvitch/Cameron/Osborne UK Homogonisation Program, Conservative, Did Lord Ashcroft bankroll you Richard?, Eric Pickles, Eric Pickles' crass remark to an abuse victim - still no apology, Labour, Liberal Democrats, Member of Parliament, MP for Reading West and Paul Uppal, MP for Wolverhampton South-West to write a campaign guide on working with ethnic minority voters, Paul Uppal, Reading West, Remember that Richard Harrington promised a new Mosque to his future constituents and then renegged on the dea, Richard Harrington, Richard Harrington's Election 2015 Action Plan, telegraph Conservative-members-get-tips-to-win-over-ethnic-minority-voters, The bottom line ambition for the Conservatives is to win roughly 35 Labour seats and 15 Liberal Democrat ones, the enormous waste of Tax Payer money Harrington's party has been responsible for and, The Fiat Monetary System? What's that?, Well what is That Con 'wish list' in Marginals such as Watford?, What about that proposed Rothschild Road Pricing Scheme Richard? Is that why the pot-holes are not being fixed?, Why did your new Minister for the Disabled shut his Twitter Account Richard?, Wolverhampton South-West, Wonder where Rich stands on Fracking? Don't bother GovWatch he won't answer.. Bookmark the permalink.